Premium quality and durable product with Essential utility and partner of your favorite sports! 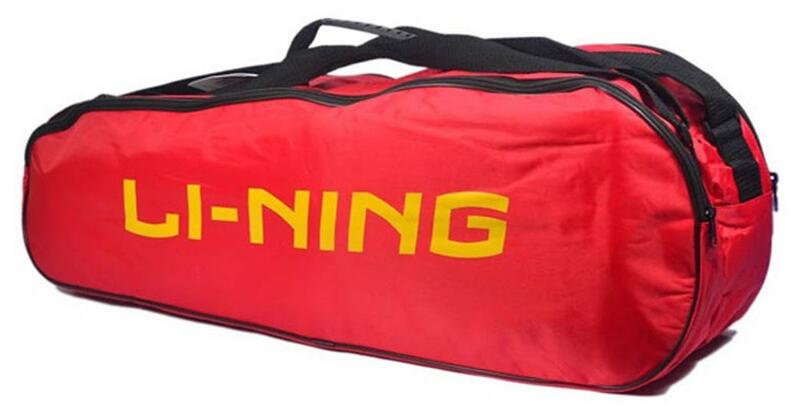 Grab this red colored racquet bag from the house of Li Ning. Keep your racquets safe and carry them easily with this bag. Shoulder Strap Alpine Cut Shoulder Straps, Four Compression Straps. Material Heavy Duty Nylon & Polyester. 3 Pocket Compartment With Closure Type Zipper.